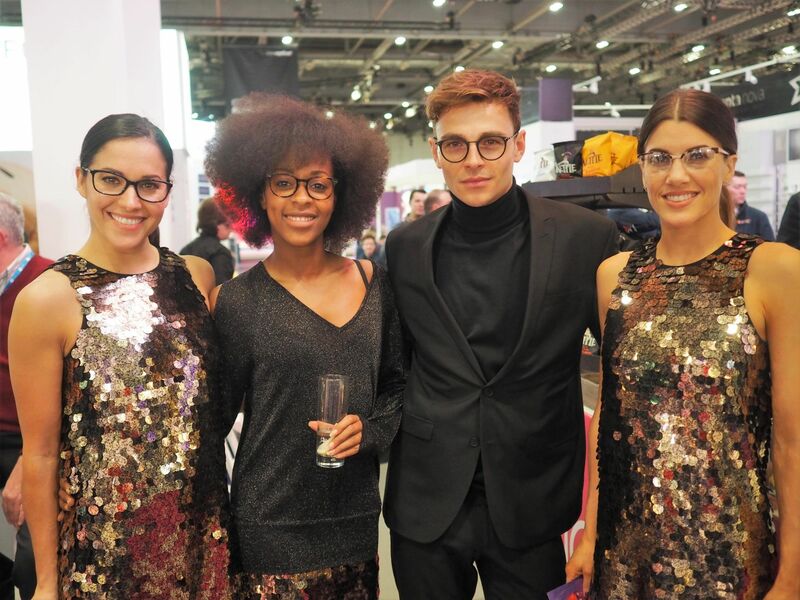 100% Optical: Frames, Fashion Shows and Filming. As I said in my previous two posts, I went to 100% Optical last weekend. 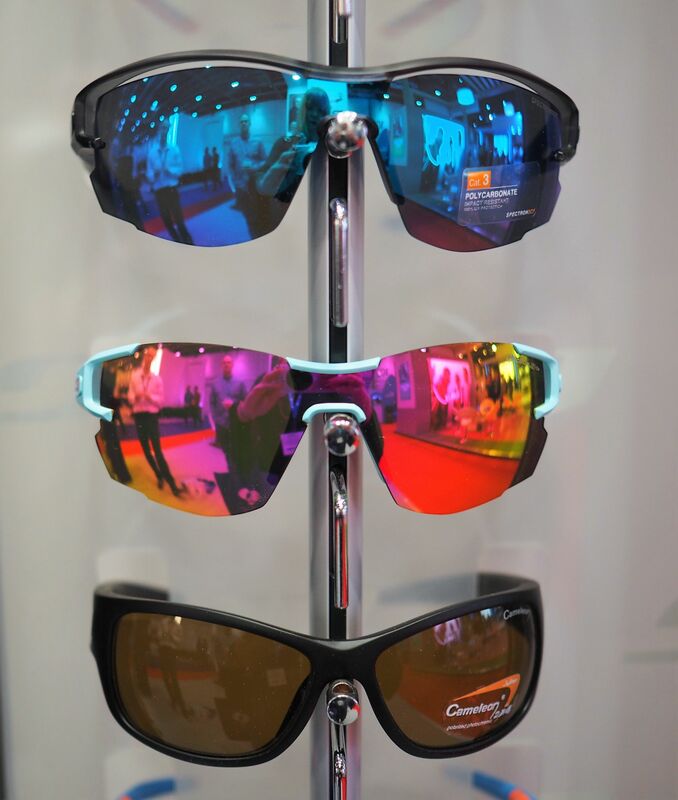 This is an annual trade exhibition for the optical profession at ExCel in London. 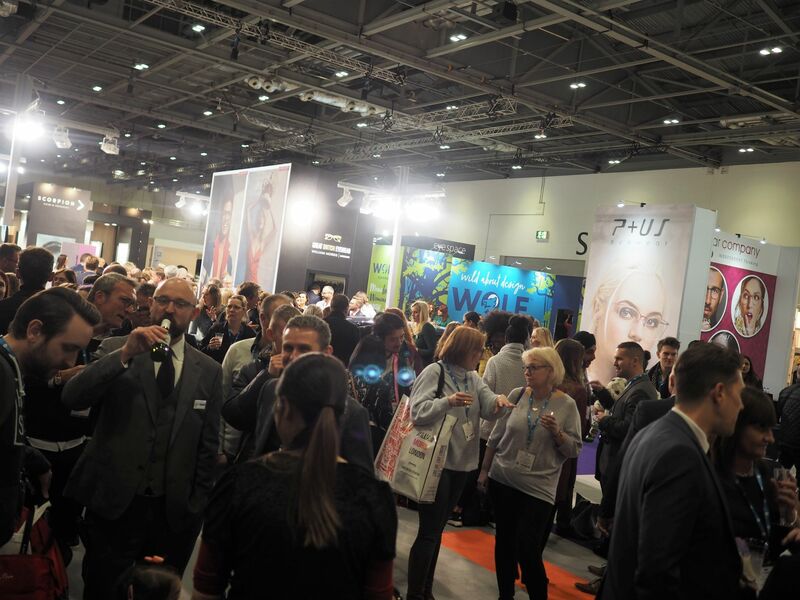 8000 delegates attended over three days to learn, network and discover. 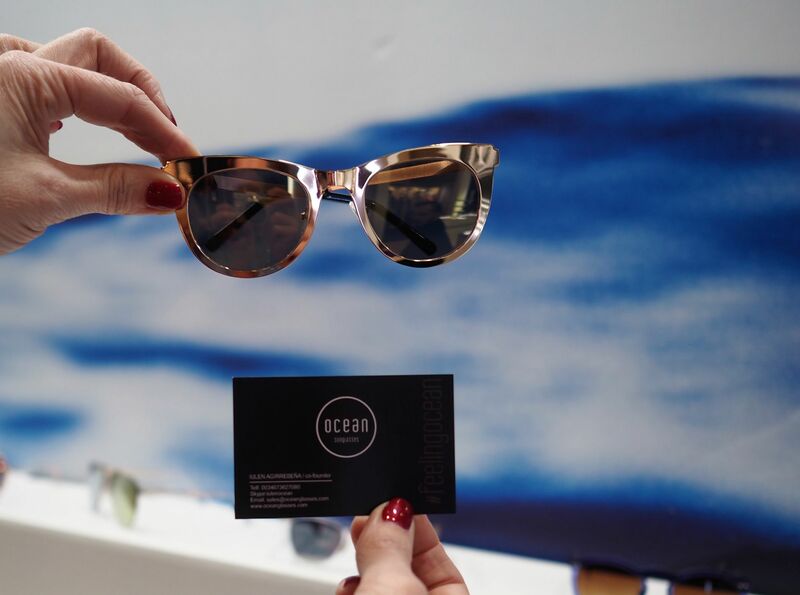 On Saturday and Sunday, we saw exhibitions, innovations and catwalk shows, but my favourite part was looking at the new spectacle frame styles and trends. And of course the Black Tie AOP awards ceremony which I wrote about in the previous post). I love glasses. I write a monthly column in the professional journal Optometry Today, (OT), which focuses eyewear trends and style. 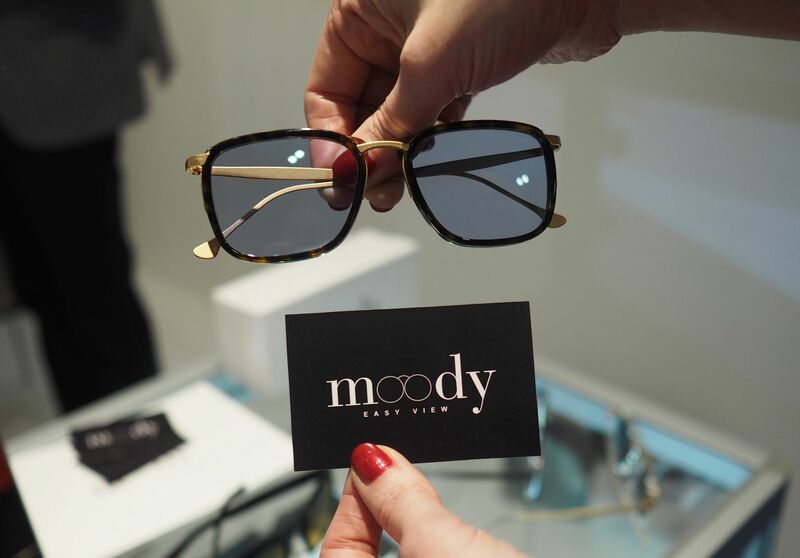 Like all accessories, eyewear styles are inspired by the fashion industry, so the column brings two of my passions together. The editor of OT asked me to select my three favourite frame styles from the exhibition to talk about on camera for the OT website. 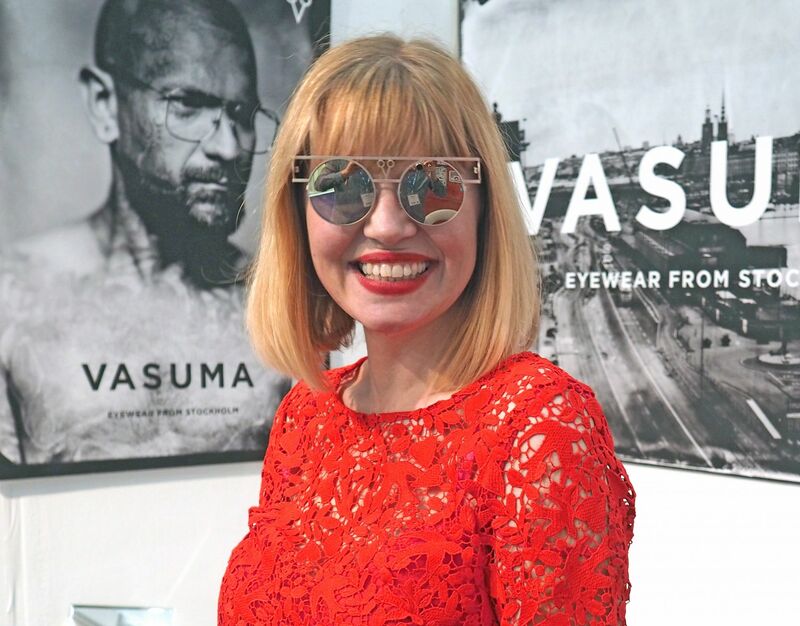 I spent a VERY happy Saturday afternoon looking at and trying on frames. I was in my element. 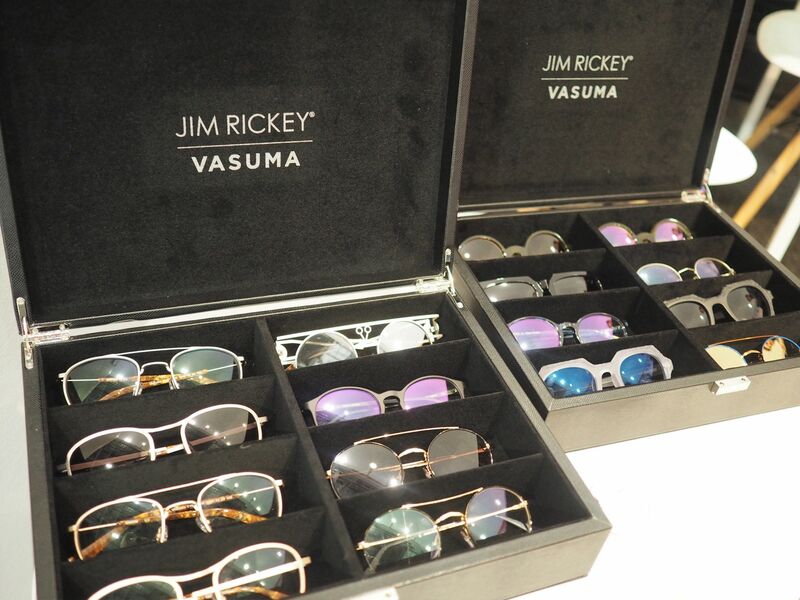 Throughout the weekend, there were several catwalk shows which showcased new frame collections. At 6pm, the exhibition hall transformed into a giant bar with live music and a very happy atmosphere. It was lovely to see the models at close quarters. You might remember that I went to Berlin last year to the Zeiss, Future of Optics event. 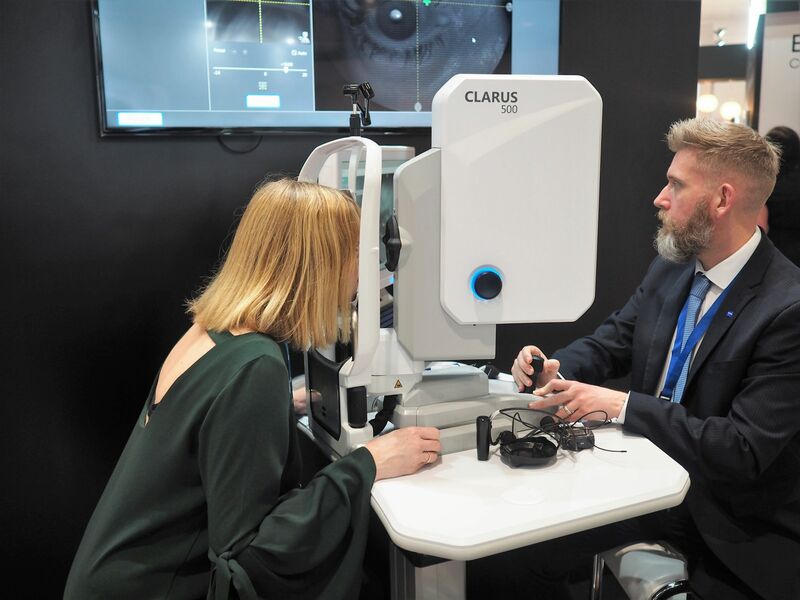 I was keen to go and see what new technologies they were presenting at 100% Optical, so Ian and I headed to their stand first thing on Sunday morning. 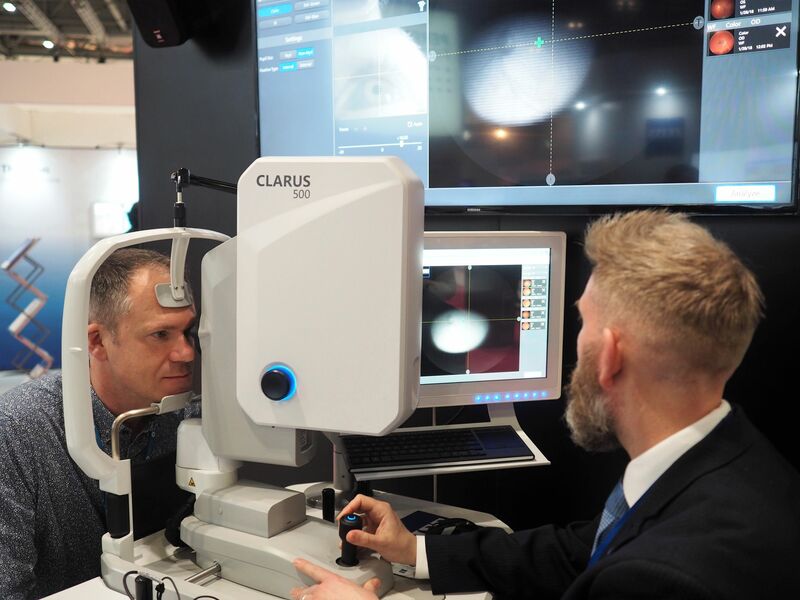 We met Darren Hargreaves who showed us the Zeiss Clarus 500. In simple terms this is an amazing camera which takes images of the retina and is used for diagnostic and monitoring purposes. 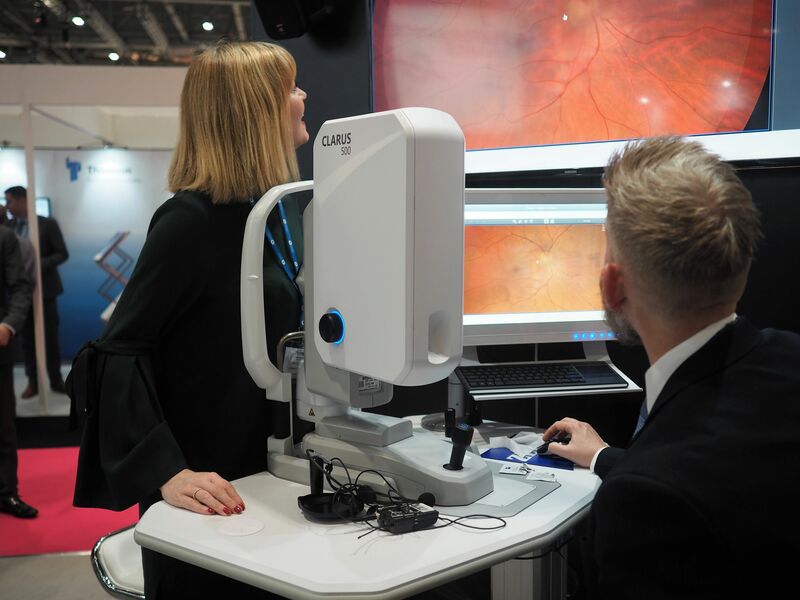 It affords an very wide field of view so it is is particularly useful for looking at the peripheral retina, something not always easy to capture. Of course, I was keen to have a turn. I was very impressed with the image quality and the wide field of view. I was also relieved to see that my retinae looked normal and healthy. This is a brilliant piece of technology. easy to use and very patient friendly. 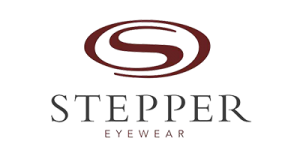 I don’t work in optometric practice, but if I did, this would be top of my equipment list. 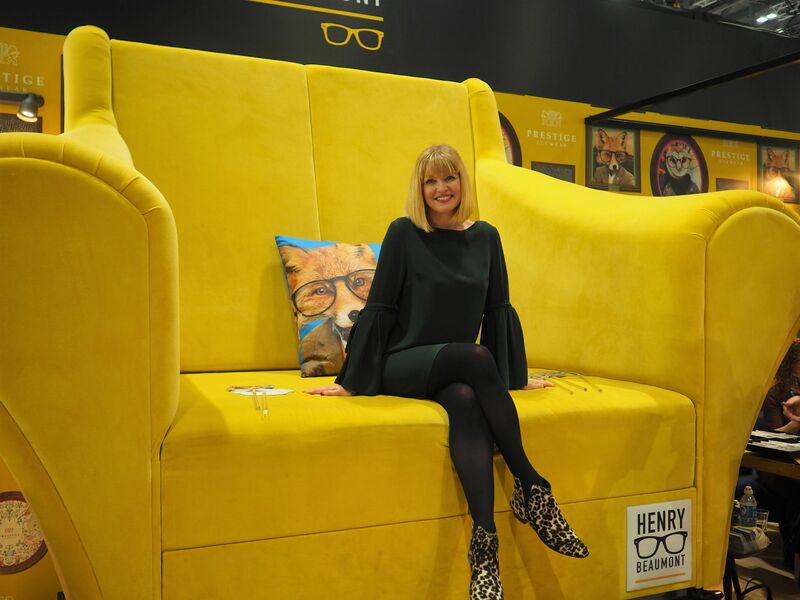 After that, we happened across this huge yellow chair which was part of the Henry Beaumont display. 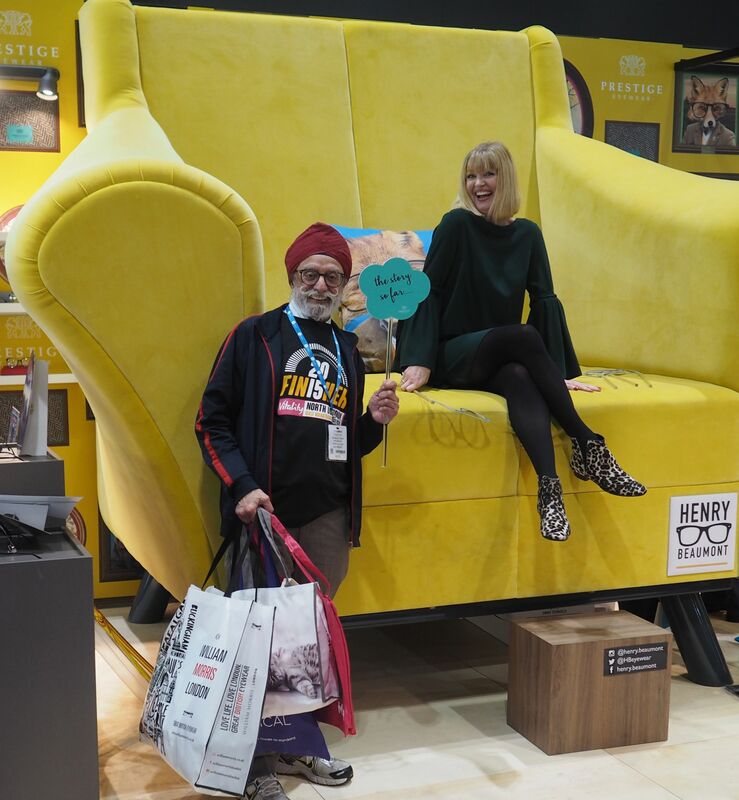 Now of course I wasn’t able to resist such a fabulous photo opportunity and neither could this fabulous gentleman. I’d never met him in my life but was more than willing to let him photobomb!! This won best stand in the show, a well-deserved accolade. As I said earlier, I had the privilege of selecting my three favourite frames to talk about on camera. We did this on Monday, the final day of the show and I thoroughly enjoyed my first fiming experience. This will be on the Optometry Today website in due course. 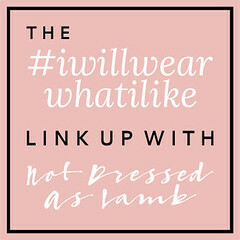 And yes…I’m wearing my Pantone colour of the year dress! Ian and I had a brilliant weekend. 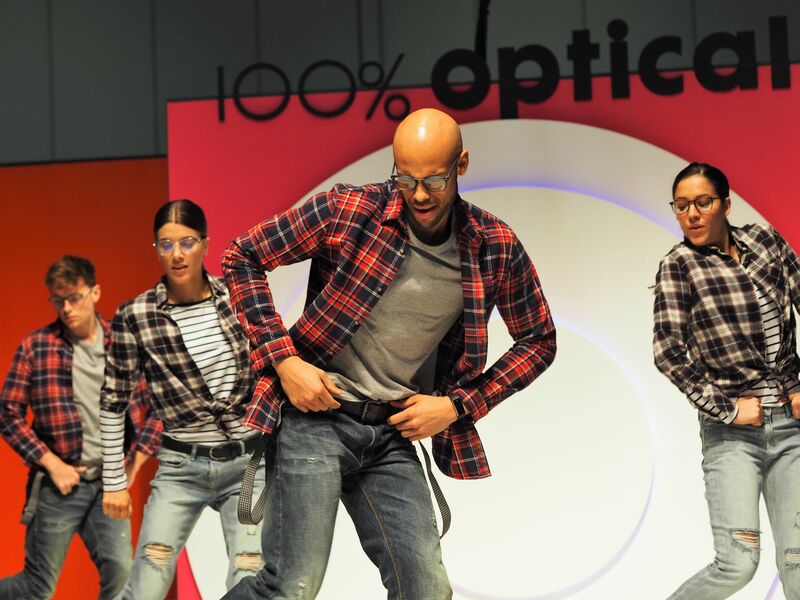 100% Optical is a brilliant event and if you are in the industry, I highly recommend it. 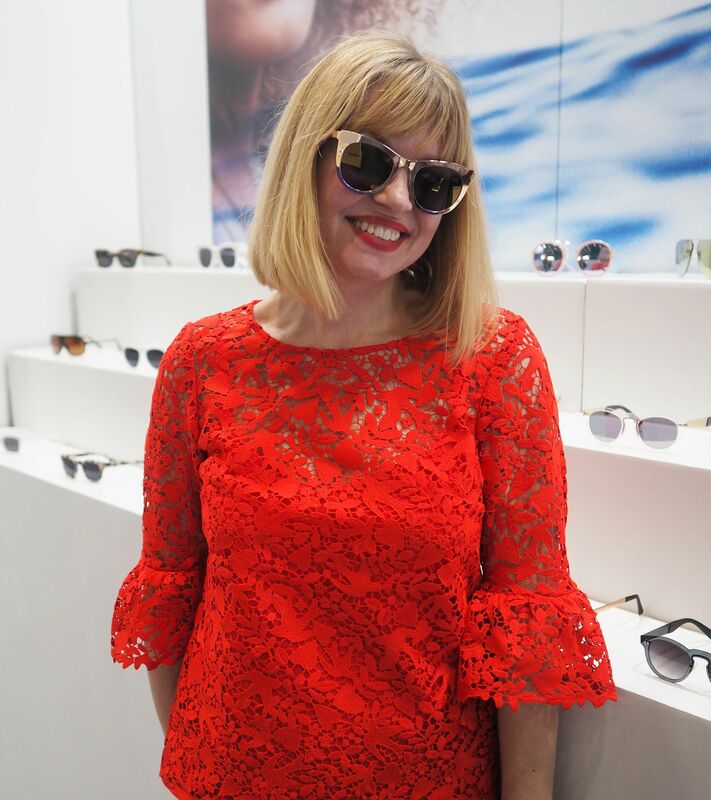 I’m bursting with exciement about new styles and I met a lot of new people and discovered countless new brands. It’s reignited the love I have for my profession. It’s in my diary for next time, January 12th-14th 2019. And by the way, Ian isn’t from an optical background but was just as interested and engaged as I was. YOU LOOK GREAT in ALL THE GLASSES YOU TRIED!I LOVE GLASSES TOO and when I go to EUROPE always BUY new FRAMES.HAve you heard of ALLERGAN? My UNCLE STARTED THAT COMPANY!!!!!! Liz this is a great post! 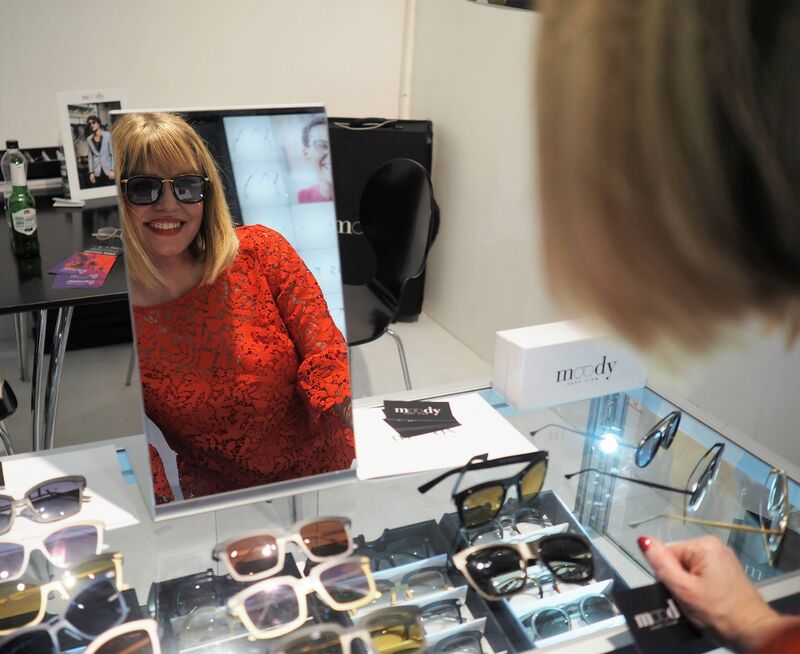 Trying on all the glasses and all the hats was always the two things my mum and I would do whenever we went into John Lewis when I was a kid – what is it about trying them on that’s so much fun? Maybe it’s because it’s quick and you don’t need a changing room…? !